There’s a new reason to go to Beverly Hills these days, besides Jimmy Choo. Sprinkles Cupcakes are soon to adopt a new delivery system: the ACM, or Automatic Cupcake Machine. 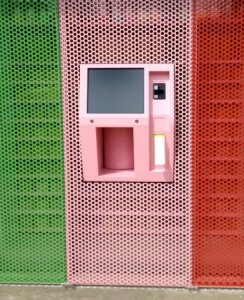 It looks like a pimped-up ATM, but it spits out cupcakes instead of cash. So, if you have a craving for their amazing coconut cupcakes at 3 a.m. (it could happen), you can take a spin down the hill and just, you know, get some. Slide a credit card and out pops your favorite, billion-calorie treat. For more info on this (and other vending machine oddities, like bicycles and gold), click here. 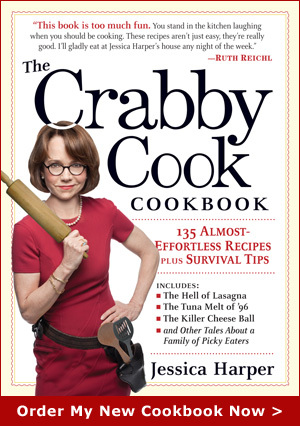 You are currently browsing the The Crabby Cook – Jessica Harper blog archives for March, 2012.